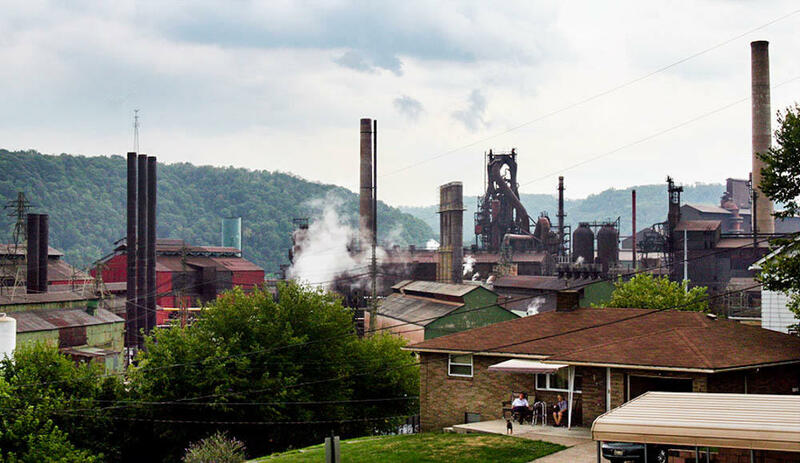 Coal and steel jobs were once plentiful in Steubenville, Ohio. Today, the local hospital is the top employer in the county. The local job center in downtown Steubenville, where people can get support applying to jobs. Nurses at the telemetry unit of Trinity Hospital respond to patient calls and monitor patient vital signs. 1 in 4 private sector jobs in the county are now in health care. The region's biggest employer by far is the local hospital. Trinity Health System provides about 1,500 full-time jobs and close to 500 part-time jobs, more than Jefferson County's top 10 manufacturing companies combined. Still, unemployment in Jefferson County stands at 7 percent, 2 percent higher than the state overall. And health care leaders worry that the Republican proposals to repeal and replace the Affordable Care Act could take many health care jobs away. Specifically, they're concerned about the rollback of Medicaid that is central to both the House and Senate bills. Ohio was among the states that expanded Medicaid under the ACA, adding 700,000 additional low-income or disabled people to the rolls. The Congressional Budget Office estimates that the Senate bill, the Better Care Reconciliation Act, would cut Medicaid spending by $772 billion over the next 10 years, whereas the House bill, the American Health Care Act, would cut the program by $880 million over the same period. At Trinity Health, 1 in 5 patients are on Medicaid, slightly lower than the state average. Joe Tasse, the hospital's acting CEO, warns that cuts to Medicaid could imperil jobs as well as the hospital's bottom line. "It would be pretty devastating," he says. "If Trinity Hospital were to fail, this region economically would fail." Tasse says under the AHCA, Trinity could stand to lose $60 million over 10 years. He says that's the equivalent of a thousand or more hospital jobs. His fears are backed up by the liberal-leaning Economic Policy Institute, which projects that more than 81,000 jobs in Ohio could be lost within five years under the AHCA, resulting in a 0.7 percent drop in the state's overall employment. 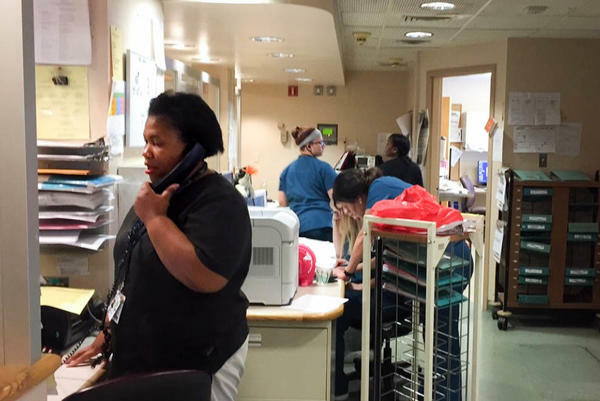 A big challenge, Tasse says, is that departments such as emergency care and obstetrics, which have high rates of Medicaid patients, are also among the most costly to operate. Given the 24/7 nature of the care they provide, they can't cut back on staffing on days when demand is slack. "An OB department is really an emergency department for women and obstetrics," said Tasse, pointing out that most births are not scheduled. "If you want to have that service and provide it for your community, you have to incur that cost. There's really not a way around it. Unless you want to tell the women, 'Hey, we're closing our service,' which many hospitals have had to do. 'Here's your bus ticket or here's the car ride that you have to take to deliver.'" Trinity's obstetrics and emergency care departments are now also dealing daily with the opioid crisis. At Trinity, 1 in 5 babies are born prenatally exposed to opioids, adding complications and cost. In the emergency room, nurses are seeing so many overdose cases that they are set up to meet patients in their cars at the entrance, armed with the antidote drug naloxone. Under federal law, hospitals are required to treat anyone seeking emergency care. 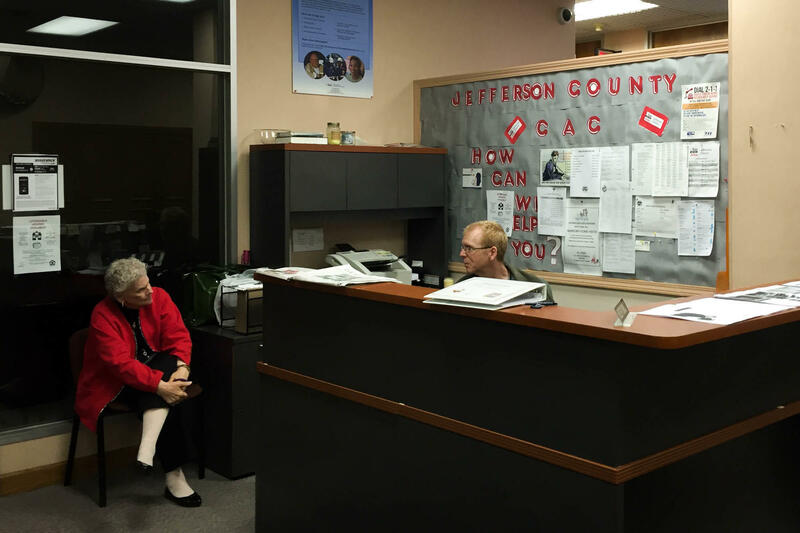 So if Medicaid were cut back, Tasse says they wouldn't turn patients away at the door. They would scale back in other ways. "Where we've tried to move patients to preventive [care], identifying health problems earlier — that would all go away," he says. He'd expect more patients showing up in the emergency department, "sicker [and] more expensive." (SOUNDBITE OF THE ALBUM LEAF'S "BACK TO THE START") Transcript provided by NPR, Copyright NPR.